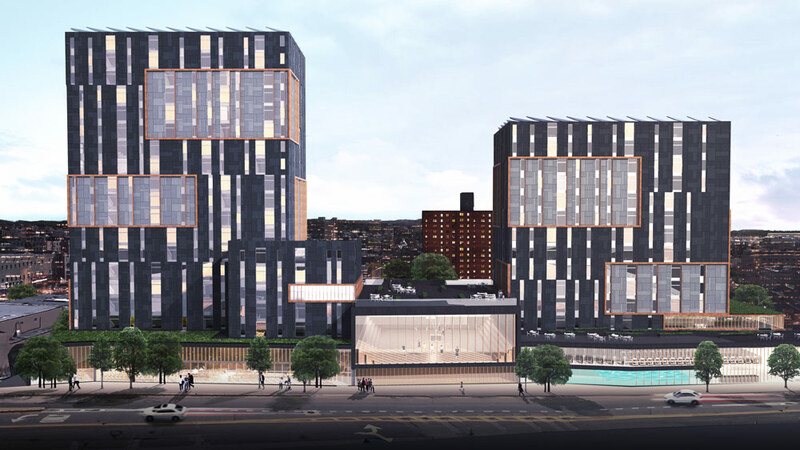 New York City is set to replace an underused NYPD parking garage it owns with affordable housing on the eastern edge of Queens. A three-agency team selected Omni New York to develop the all-affordable complex, which will include 350 units plus commercial space. Plans for the 450,000-square-foot project put the NYPD parking garage below-grade, with street-level retail fronting 168th Street between Jamaica and Archer avenues—all busy neighborhood thoroughfares. The development is a partnership between the New York City Economic Development Corporation (NYCEDC), HPD, and the Housing Development Corporation (HDC). While Omni manages a portfolio of thousands of units nationwide, last month the city’s Human Rights Commission charged that the company had discriminated against tenants who use housing vouchers and rental assistance, the Daily News reports. Omni denies all allegations. This project falls under the Jamaica Now Action Plan, a sweeping neighborhood revitalization initiative that launched in 2015. The $153 million plan emphasizes the community’s “livability,” which here includes workforce development and help for small business, as well as investments in public space.